Thank you for your interest in our dental practice! Please contact us with any questions, comments, or concerns you might have. Your suggestions are what keep our services a step above other dental practices. 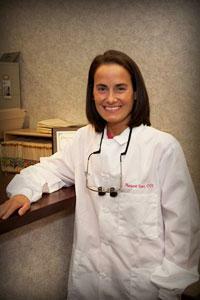 A team member of Margaret Szott, DDS will respond to any email messages as soon as possible. If you need to contact us about a dental emergency, please call us for faster results. (click here for a map and directions.) Our office is conveniently located in north Greensboro near the Primrose School, Page High School, Lincoln Financial, Cone Hospital, The Village at North Elm, and VF Corporation in the Buffalo Lake and Lake Jeanette area.